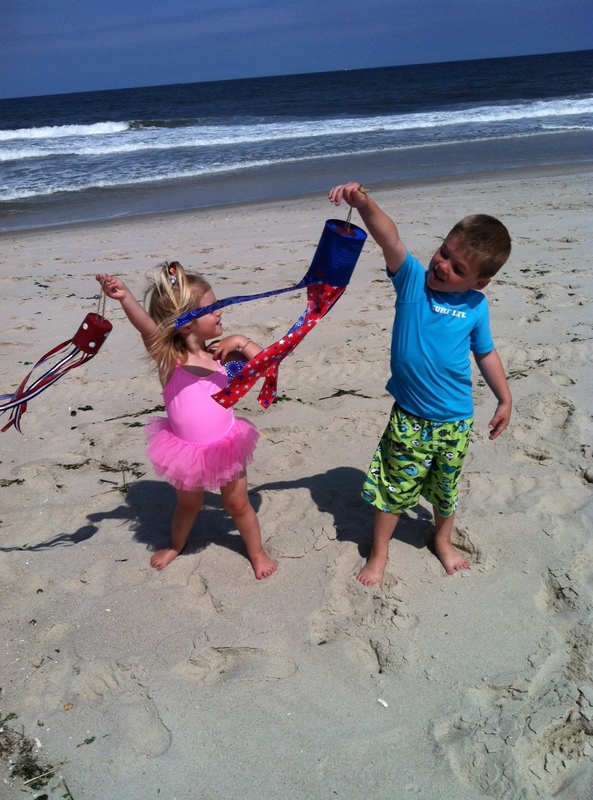 Here is an easy craft to get your kids excited and involved in decorating for July 4th celebrations! 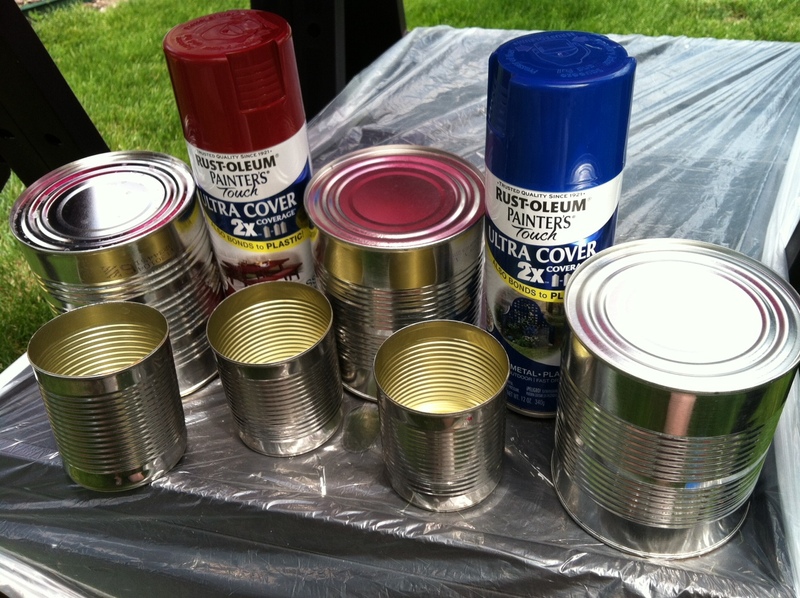 Save old cans (only use if your can opener leaves smooth edges that are safe for children) and purchase spray paint that can be used on metal. Use acrylic paint to add designs! Use a large nail to make holes in the top for a string to hang your windsock. 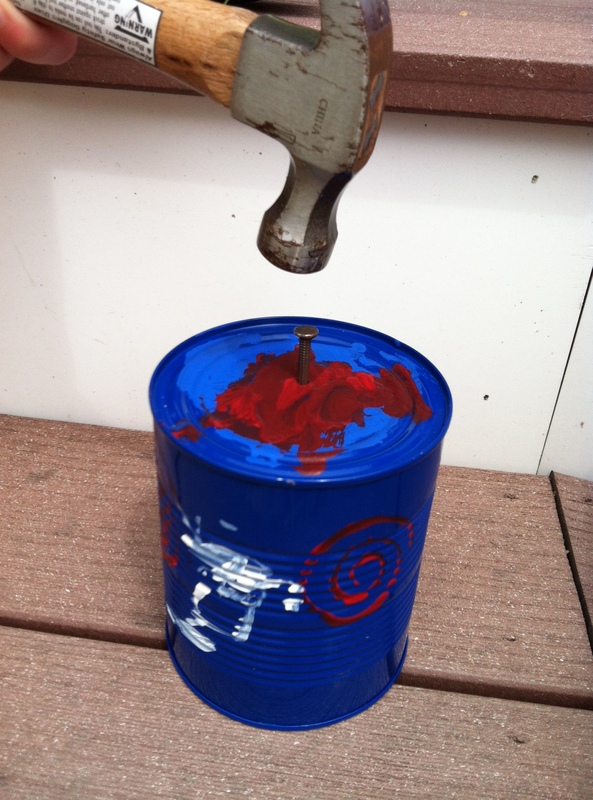 Attach patriotic ribbon (from dollar store) with a glue gun on the inside of the can. 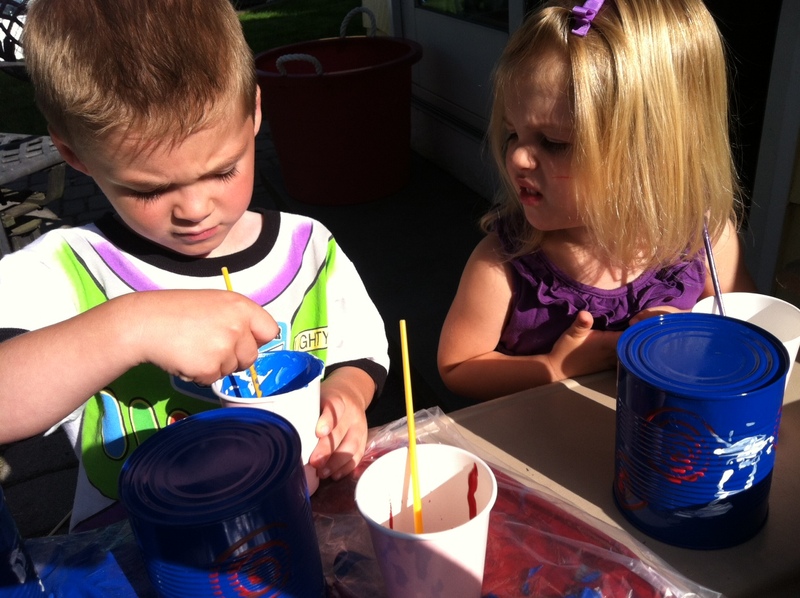 My kids loved painting the designs on the cans and Nicholas did all of the hammering to make the holes for the string on top! 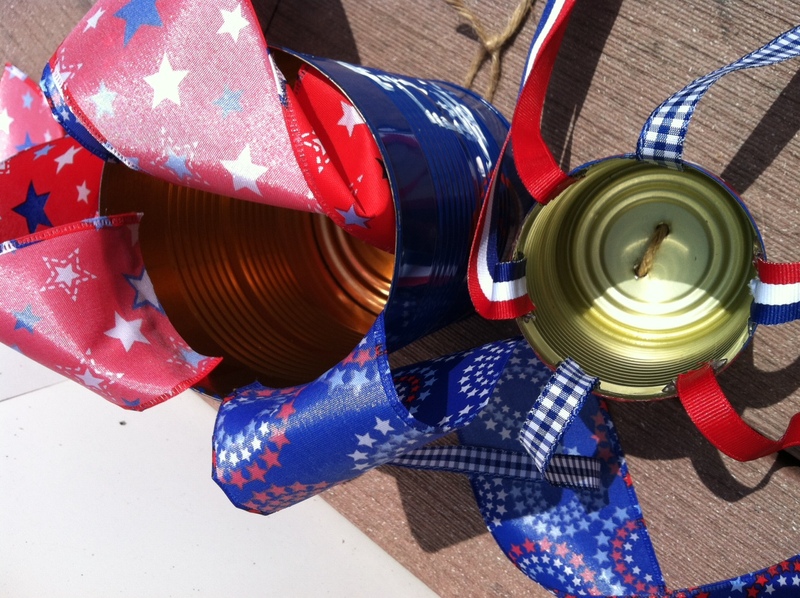 For under $10.00 we made 6 tin can windsocks to decorate for the 4th and lots of MeMoRiEs! Thanks, I think I’ll use that idea. The children wil love it.